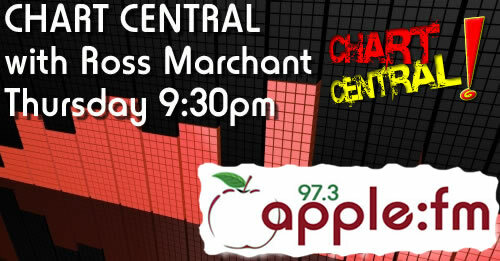 Chart Central is a chart music show which airs on Apple FM part of Music Mania with Ross Marchant. If you’re a fan of the current music charts or if you have fallen behind with popular music this show is perfect to get you up-to-date. Don’t forget to tune in at 8:15pm on Friday evenings for a mini Chart Central where we will reveal the official new U.K number one single and album for the first time on Apple FM.